Mahrker is a reputable brand that specializes in producing different types of paper writing materials such as notebooks, diaries, journals, sticky note pads and other types of writing materials. Notebooks are ideal use by students, office workers and other people that need a notebook to write down important things and information. They are produced with the highest quality materials that make them very comfortable to write on and great use for a long period of time. Students – Students of different levels either secondary level or university level needs notebooks to write in. They need it to write their coursework, assignments, projects and other important information. Students can use either the hardcover notebooks or the softcover notebooks for their everyday school use. Students can as well use the smaller sized notebook as a form of journal to store important personal or contemporary information. Office Workers – Notebooks are also great for use by office workers to write down different office projects and assignments. Group office projects or individual projects that need to be effectively planned and executed can be clearly written down on the notebooks. Office secretary and assistants can as well use the notebooks to take down tasks and appointments from their bosses so they don’t forget. Home Use – Notebooks is great to write down personal life experiences for further reference. 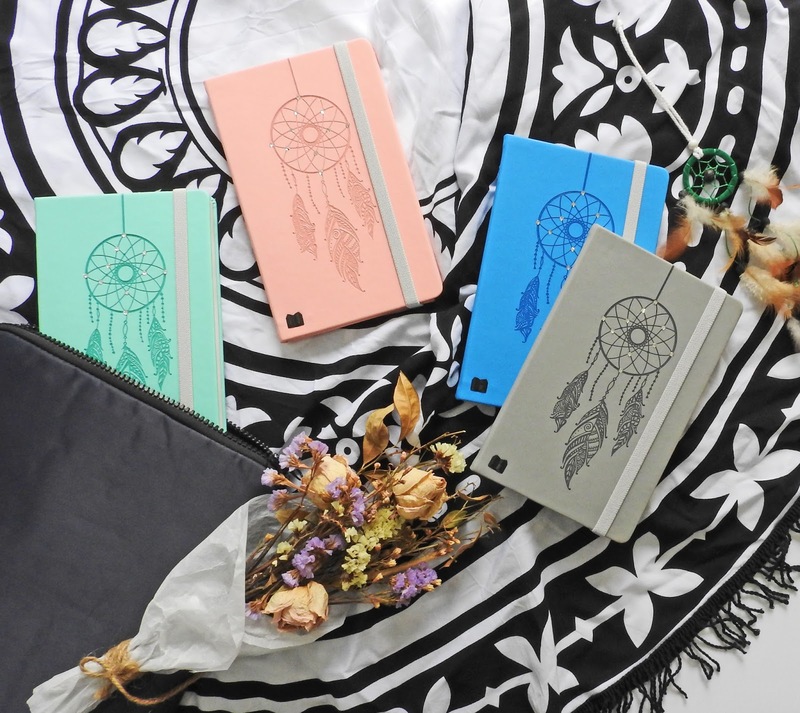 It can serve as your personal journal where you write down all life interesting and memorable experiences. Hardcover notebooks are particularly of great advantage in this regard because it can last for a very long time and it is very secure with an elastic band that you can use to tightly close it up. Other Purposes – You can use these notebooks for other purposes such as taking notes in the church, seminars, workshops, e.t.c. When you are going to the church, a notebook is great to take along with you to write down the sermon that is been taught by the preacher. It is also great use to write down important information and whatever is been taught in seminars and workshops that you attend. Mahrker Hardcover Notebooks – Hardcover notebooks are notebooks that have hardcovers. They are produced for use for a long period of time. Hardcover notebooks do not easily get damaged or tore apart. Hardcover notebooks are great for long-term uses and they are easy to write on. They can be used on the move without needing any external hard materials to place them on. 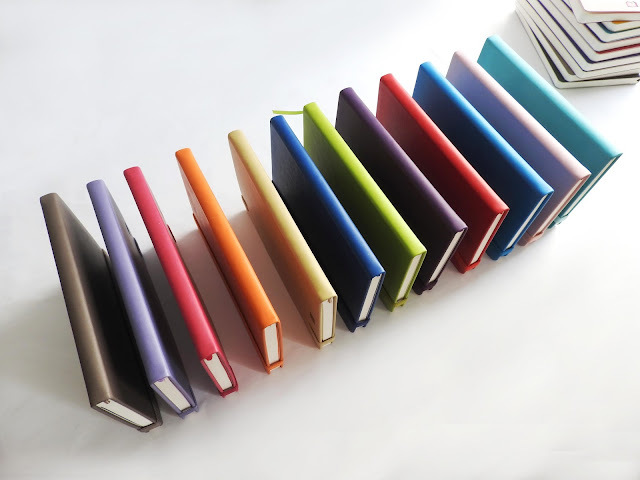 These produces quality hardcover notebooks of different designs suitable for different uses. There are different design hardcover notebooks for student use and plain color hardcover notebooks for office use and other purposes. Mahrker Softcover Notebooks – Softcover notebooks are notebooks with light paper covers. They are lightweight, easily foldable and easy to move about. They are not as durable as the hardcover notebooks but they less expensive and do not occupy a great deal of space like the hardcover notebooks. Softcover notebooks are more generally used by students because they are less expensive and not very heavy to carry. These produces different kinds of softcover notebooks of different designs and colours that is suitable for different purposes. 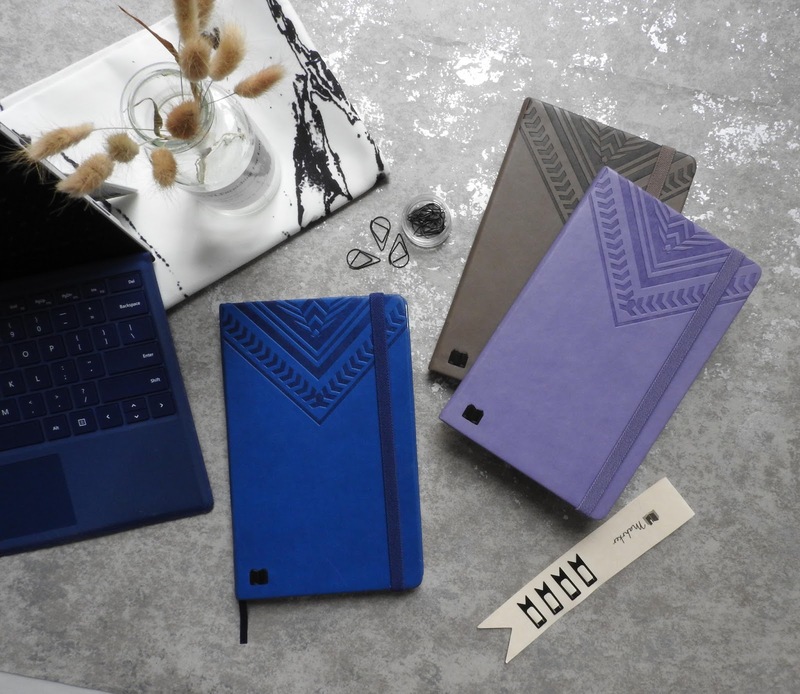 Notebooks are ruled with Premium designs – All notebooks comes in premium designs that are very affordable. We sell based on premium wholesale prices and do not compromise quality in all our notebooks. We make sure to give you the best quality notebooks at very affordable prices. Notebooks come with Back Pocket – Notebooks also come with back pockets where you can keep your pen, money and other items you will like to quickly use as you move about. The back pocket also serves as an external covering for the book and it also create more beauty to the outlook of the book. 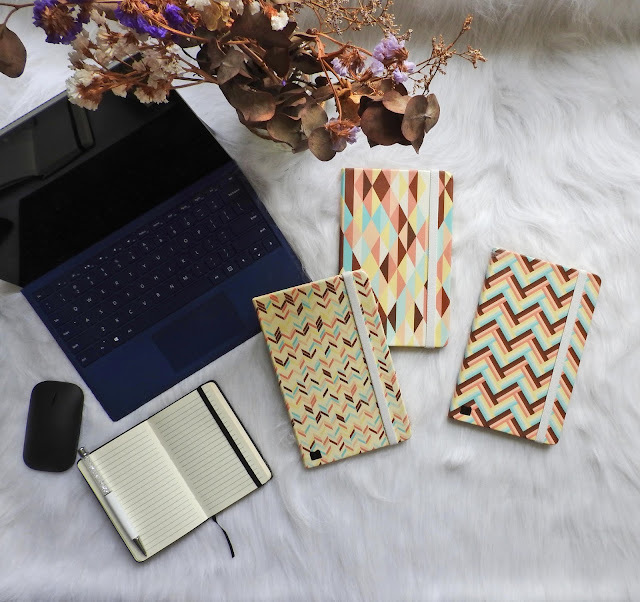 Notebooks come in different kinds of designs and back covering, hence you can make your choice for the best one that better suit your needs. Notebooks come with Adhesive Name Card Pocket – Mahrker notebooks also come with adhesive name card pockets where you can slot in your identity card or complimentary card. They are perfectly placed at the inner cover of the notebooks so you can easily slot in your complimentary card or identity card for any purpose you might need them. Due to the fact that you are constantly moving with your notebooks, a complimentary or identity card is needed so that you can also publicize your business or services to other people. Notebooks come with Metal Markers (4pcs) – Mahrker notebooks also come with four pieces of metal markers. This means that when you buy Mahrker notebooks you also get four metal markers for free. Metal markers are used to draw or write on very hard surfaces such as metal or wooden surfaces. Notebooks come with Elastic Band – Mahrker notebooks come with elastic bands that allows you to securely close your notebooks. After you have closed your notebook, use the elastic band the bind together the back cover of both sides so that the notebook is perfectly closed. Doing this will make sure that your notebook is perfectly secure that even when the notebook mistakenly falls off your hand or from the table, it won’t open up or get dirty. The elastic band will make sure the pages of the notebooks don’t open even what if falls off your hand when you are on the move. 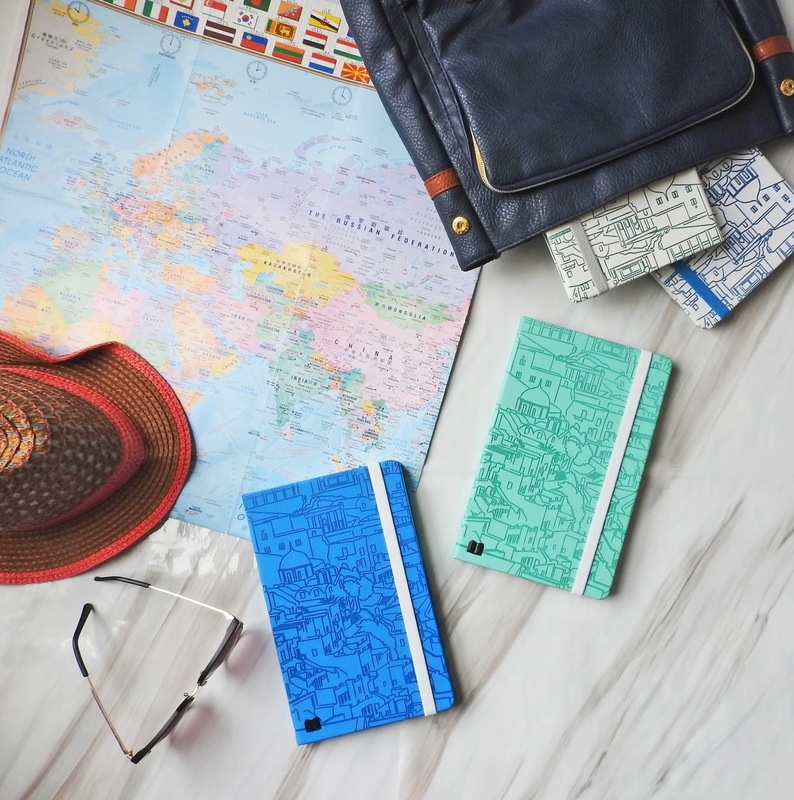 Mahrker is reputable brand Company that produces different kinds of paper materials for writing such as books, journals, sticky note pads, sketchbooks, diaries, and other writing paper materials. We are aware that there is a great need for people to always write down and keep important information (personal or educative) for future purposes. This is why we took it as a point of duty to always produce the best quality writing book materials in different sizes, shapes and designs to suit your needs. We partner we different reputable company and online stores such as Gift&Paper Company, kinokuniya, Naiise and Redmart to sell our products to more customers around in both Singapore and Malaysia. We are always looking for ways we can increase our customer-based so that our products can get to more people that need them but have not had the opportunity to know about our products. This is why we have come up with a referral program for everyone, our existing and prospective customers. Mahrker referral program is a win-win referral program whereby both you that referred someone and the person you referred get to receive $5 as compensation. The more people you referred to our online store, the more money you get. Most people may not understand how it works, so we are going to give a clear explanation of how this referral program work and how you can get your reward. 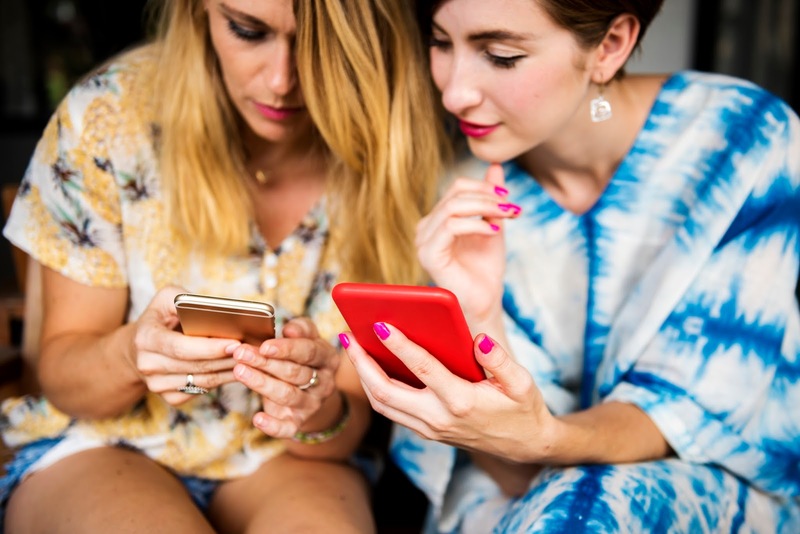 First, you as the referral needs to refer a person to the Mahrker online store website with your unique referral links. Then, the person needs to click on the link and register on the website with a few personal information and email address. When the person has successfully registered on the website and log in, he or she automatically get USD 5 as a reward which can only be used to purchase Mahrker products. The referral will get a USD 5 reward when the person been referred has bought a product from the website. Once the person makes a purchase of any of Mahrker products, the referral will automatically get USD 5 which he or she can only use to purchase Mahrker products as well. The more people you are able to refer that registered to our online store and make purchases, the more money you make. For example, if you succeed in referring 10 people that registered and make purchases, you will get rewarded with USD 50. Apart from this, reviewers can also make some money when they write reviews about Mahrker notebooks on their website. All you need to do is to write reviews about Mahrker books and get rewarded with USD 0.5 for it. The money can only be used to make purchases from Mahrker website. Exciting and rewarding don’t you think? Start making money today, refer your friends, family members, colleagues and other people around you to our online store website and get rewarded when they make purchases. The people you refer can as well refer other people and it goes on and on. Create account at https://shop.mahrker.com and get your unique referral link. Sticky notes are used in offices, schools, homes and at different other places to take notes and keep information that needs to be remembered within a short period of time. If you are an office worker, you need it to write down important assignments and appointments because you can’t remember everything in from your head. If you are a secretary, it is off immersed value to you because you will need to keep appointments for your boss and also need to take note of all assignments that your boss has assigned for you to do. You are aware that continuous forgetfulness might lead to you been fired by your boss, hence it will be of great benefit to you. They are ideal to keep important information because you get to frequently have eye contacts with them. This is because they are meant to be pasted close on your office desk, the walls close to your office desk, on top of your laptops, your bed side mirror and other places that you frequent most of the times. Due to your frequent eye contact with them, you are constantly reminded of what you need to do. As a business owner, they are important to keep vital information so that you don’t forget any important thing that you need to do. 1. Visualize your Calendar – Sticky notes comes in different colors which allows you to choose a particular color for different projects. Allocate different colors to different projects so that you easily remember the projects just by visualizing the colors at a glance. 2. Create a To-do List – Create your to-do list according to their order of importance. You can also do this by differentiating them with colors so that at a glance you know what task to do first. 3. Organize your Projects – Using these notes, you can easily organize your projects according to reduce stress and confusion. If you haven’t come up with a final plan for your project, it is an easy means to write down all your projects goals and objectives. 4. It allows for Brainstorming – This is particularly important if you are working with a team. Each team members can write down their thoughts and contributions of any particular topic or project that is been worked on and give them to the team leader for revision. 5. It allows for trial and errors – If you are not sure of what you want to write, it is advisable to use it. This is because you can easily tear out any page, so if you write a wrong thing, you don’t need to worry about anything as you can just tear out the page and dumb it in the trash can. 6. Easy Reminder – Using these notes, helps you to easily remember important things that you need to do. This is because you have them staring at you all the time so you are always reminded of what you want to do at any particular time. We have a fantastic range for you to choose from. Find out more here https://shop.mahrker.com/sticky-note.html. It is fast approaching the end of the year and everyone is making New Year’s resolutions or still thinking about what their new year resolutions are. Almost everyone makes new year resolutions but sadly not everyone actualises them. Study shows that 25% of people abandon their new year’s resolutions after one week. 60% of people abandon their new year’s resolutions within 6 months. Only 8% actually achieves their new year’s resolutions by the end of the year. From these studies, it is clear that fulfilling your new year’s resolution is not an easy task and this is why you need to set practical goals on how to actualize them. Thinking about your new year’s resolutions and having them in mind is good but that is not enough to make them a reality. You need to do more than just having them in mind, you need to write them down. Research has shown that 42% of people are more likely to actualize their new year’s resolution by writing them down. Anything you write down you can never forget it but what you think or have in mind you can forget it after some time. You have a definite direction and knowledge towards what you write down but what you only have in your head goes about in circles. We are going to state some of the benefits why you need to write down your new year’s resolution if you really want to achieve them. 1. For clarity of things you want – When you write down your new year’s resolutions, you have a very clear picture and understanding of the things you want. When writing a list of your new year’s resolutions, number it in the other of preference. Let the most important things you want to do come first. When you write them in this manner, you have a total understanding of what you want. If you want to travel to at least seven different countries before the end of the year and you also want to start a business, you can place the most important one at the first position and the other one at the second. 2. For proper planning – Now you have a clear picture of the things you want, the next step is your plans on how to actualize them. Making new year’s resolutions is great but how will you actualize them? When you don’t have a plan then you are already planning to fail. Write down your plans on how to achieve each new year’s resolution by the side. This makes it easy for you to do what to do and to actually be a part of the 8% that actualizes their new year’s resolution by the end of the year. 3. It is your motivation factor – A good thing you have a plan but you need to take action on your plans before they can actually be a reality. When you write down your plans, you are motivated to take actions and your actions bring the results which you want to see. Let’s take, for example, you have a new year resolution of losing 25 pounds of weight. Make a plan of spending 2-3 hours in the gym every day or every 2 days. When you write this down, you are motivated to adhere to it and before you know it you’ve lost 25 pounds within 2 months. 4. It helps to overcome resistance or weariness – Most of the time, people get tired or discouraged along the way and just give up on their new year’s resolutions. Writing them down will give you a motivation to press on because you see them every day. You need to keep in mind that nothing good comes easy, so you do not give up on making your new year’s resolution a reality. 5. It enables you keep to track of your progress – When you write down your new year’s resolution, you easily keep track of what you have achieved and the next one you need to focus on. It is best to tick any of the resolutions that you have achieved and then move to the next important one on your list. 1. Books – Books are good use to write your new year’s resolutions. Softcover or Hardcover notebooks are ideal for use to list down all your resolutions in their order of importance. Keep the book in a place you can easily have access to it so that you are always in contact with it. 2. 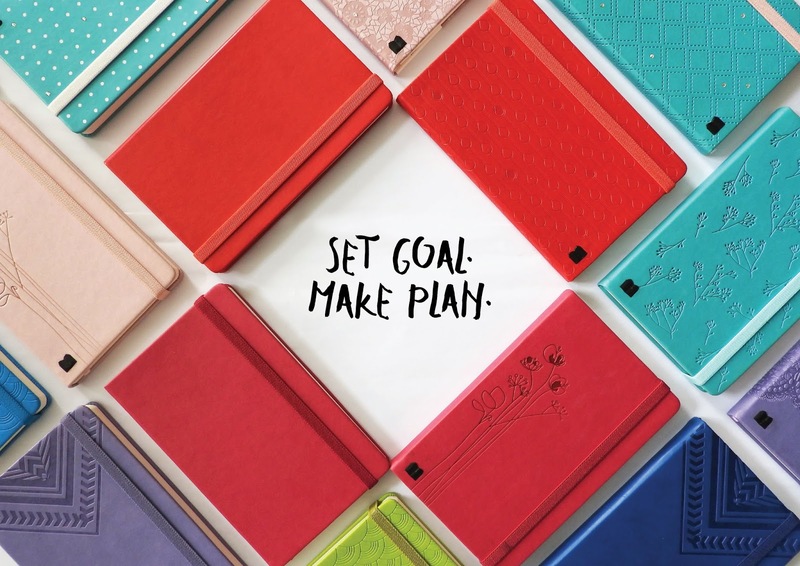 Journals – Journals are ideal use to write down all your new year resolutions. The journal should be the one you always take with you or kept in a place that you can see it often. The more you see those things you wrote down, the more you are motivated to work towards achieving them. Get either a hardcover or softcover journal and write down all your new year’s resolution in an orderly manner. 3. Sticky pads – Sticky pads are also ideal use to write down your new year’s resolution. Sticky pads are particularly great because you can easily stick them to the wall of your office or the wall your room close to your bed. By sticking them on the wall, you constantly come in contact with them and you are reminded of taking necessary actions to actualize them. Fulfilling resolutions and making them come to actualization is not just mere wishes, it takes proper planning and actions for them to be actualized. It is very important to take all necessary steps that we have enumerated here so that you can be among the 8% of people that have their resolutions fulfilled and actualized at the end of the new year. Journals and notebooks are everyday use either for writing contemporary and educative information or for keeping personal private information. Journals and notebooks are used at home, offices, schools e.t.c, at any point in time to record and keep vital information. Notebooks are particularly important for students either at the elementary level or college students. Hardcover journals and notebooks are journals and notebooks which have hard covers. They are produced for longevity and to overcome harsh conditions without getting damaged. They are of different binding designs such as glue binding, thread binding and spiral binding. They are heavier than the soft cover journals and soft cover notebooks because the cover is made from thick materials. 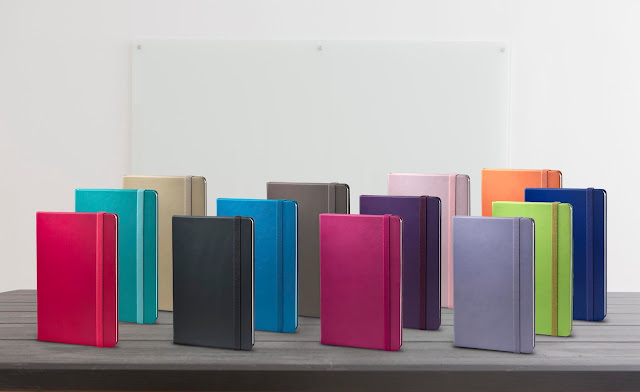 Soft cover journals and soft cover notebooks are journals and notebooks with light or paper covers. They have very light paper cover that can be easily torn apart. They are easily foldable and carry about. Durability – Hardcover journals are known for durability. They can last long for years without getting rumpled or torn apart. The hardcover shields the internal paper pages and prevents them from external damages. They perfectly fit into the bookshelf without any worries of decomposing or the pages changing their coloration. They are an ideal use for students who use it every day because the hardback prevents dirt and rough-handling. 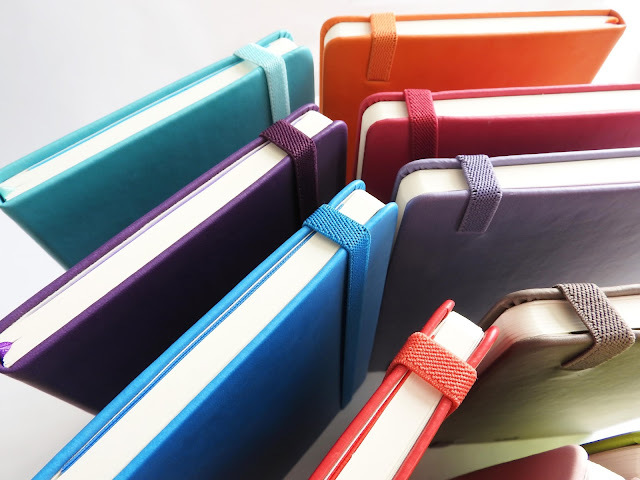 Great for Long-term purposes – If you want to keep a journal or notebook for long term, then the ones with hardcovers is what you should go for. They are great for long-term purposes as they can stand the test of time. Easier to write on – Most people find journals and notebooks with hardcovers more easier to write on than the ones with soft cover, and this is true because you can easily write on them even when standing. You don’t need an external flat surface to place it on before you can write on them. So even on the go, you can write down anything you want to write. More Expensive – Journals and notebooks with hardcover are generally more expensive than the ones with softcovers. So you will need to spend more money when you buy a journal with hard cover. More difficult to read – Most people find journals and notebooks with soft cover easier to read than journals with hardcover. This is not a known fact but according to reviews, more people agreed to find journals with softcover much easier to read than journals with hardcover. Difficult to move About – Journals and notebooks with hardcovers are quite heavy and not very comfortable to move about. If you have about 2 to 3 journals or notebooks with hardcovers in your bag you will find it very uncomfortable to move about because of the weight. It is also not foldable so you can easily hold it in your hand or keep it in your pocket. Less Expensive – The softcover journals and softcover notebooks are generally less expensive than the hard cover types. If you don’t have a high budget, then it is best you buy the ones with soft covers that your budget can afford. They don’t Occupy Space – Journals and notebooks with soft cover are not very thick like the ones with hard cover so they easily fit into your bag. They don’t occupy so much space which is an added advantage. They are not heavy – Journals and notebooks with soft covers are not as heavy as the hard cover types and this makes them easy to carry about. This is especially beneficial to students who go to classes every day because they will need to move their books to and fro from their houses or hostels. Heavy books are very uncomfortable to move about which makes books with soft cover a better option. Does not Last Long – Journals and notebooks with softcovers generally don’t last long like the ones with hardcovers. They can get easily rumpled and torn apart. They can also lose texture with time and most time also changes paper coloration. Not Easy to Write on – Journals and notebooks without hard covers are difficult to write on unless you have a flat surface to place them on before writing. It is difficult to write on them standing up or at a place where there is no table. You may be walking down the street and need to write down an important information, writing on a journal with soft cover becomes difficult. Not ideal for Long-term purposes – If you want to keep information for long-term, you shouldn’t use a journal or notebook with softcover because it might get damaged before you know it. The light paper cover is not thick enough to shield the paper pages inside from external harsh weather conditions. It can lose it texture when it comes in contact with sunlight and get weak or even start to decay in very low weather conditions. Debossing and Silk screen customization are the different ways to customize your gifts to make them very ideal for corporate purposes. Corporate gifts should have a unique brand touch which is why it is necessary to customize them. What is the difference between Debossed notebooks and Silk Screen customized notebooks? Debossed customized notebooks are notebooks that the company name and logo are imprinted in the cover of the notebook. The brand or the logo is imprinted inside the cover of the notebook. Debossed can’t be scratched off when rubbed against a hard surface. 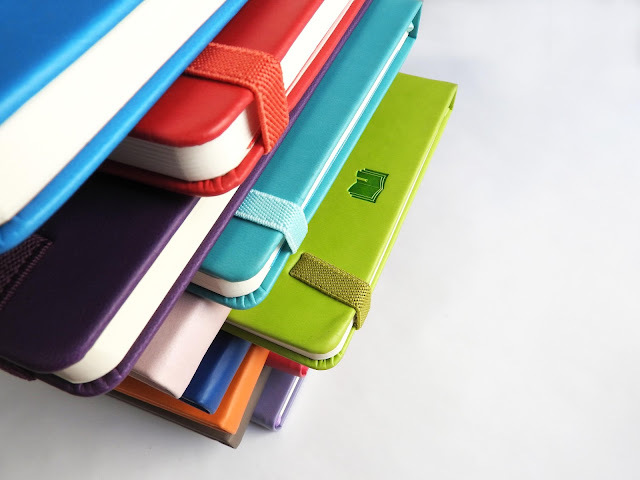 Silk Screen customized notebooks are notebooks that the company name and logo are imprinted on the cover of the notebook. Silk Screen can be shiny looking or in different colors and styles imprinted on the cover of the notebook. They can be scratched off when rubbed against a hard surface like a rough wall. Diary is a special private book where we record memorable day-to-day activities or important activities that might have taken place at any point in time in our lives. It is a private place where we also pen down our thoughts, feelings and any other memorable events maybe from our workplace, school, homes and other places we might have been. Most people take their dairy very important because they have some very important and private information written in it which they don’t want any other person to read. There are different diaries for different purposes. There are health diaries which are used to record information about health and nutrition. The food diaries are used to record menu tips, food ingredients and how to cook. Events diaries are used to record everyday events and activities, academic diaries for academic purposes and so on. Using a diary may sound so simple because it is just a book. All you need to do is to get a pen and write whatever you want but this is not true. You need to clearly outline and write on a dairy in an orderly manner so it will be easy for you to find any information you have written at any certain date without wasting much time. We are going to take you through some guidelines on how to use a diary effectively. 1. How Big should your diary be? – This should be your first thought when getting a dairy. You need to decide on the size of dairy you should get. This depends on the information and activities that you will need to record in the diary. If you record information in a diary every day or every week, you will need to get a big diary but if it is once or twice a month you can get a smaller one. 2. Be Honest – After you have gotten the right kind of diary, the next thing you will want to do is to start writing on it. You need to be honest about anything you want to write. Write down your honest feelings, thoughts, and opinions without thinking twice about it. This way you have succeeded in recording the correct information about any events or happenings. 3. Title Each Record – After deciding on honesty, the next step is to Title each record or events. Give it a befitting heading or title so you can easily know what that particular record is all about at just a glance. The title should correspond with what the record is all about but shouldn’t be too long. Give it a precise and straightforward title. 4. Date – This is very important when writing in a diary. Every event happens on different date. Make sure you date every events or record as it will enable you to easily check or sought out any record you may be looking for. The date should be preferably at the top left corner of your record. Maybe an event occurred five days ago and you want to record it today, write today’s date on the top-left corner then include the date the event occurred in your write up. This is the perfect way to date a diary. 5. Be Detailed – When writing an event on a dairy try as much as possible to be detailed. Include the exact date and time the event occurred as it may be used for future references. Pen down everything that happened and everything you can remember. This will give you a detailed picture of that particular event anytime you may want to remember it in future. For example, you are walking down the road and you saw an accident just happened, it is best to keep a record of the exact time and date the accident happened. 6. Clear and Correct spellings – Always write in a clear manner and let your spellings be correct. Dairy is private but a dairy can assist in investigative purposes. People may want to read your diary in case of an event that happened years ago which they need to know about. Make your spelling and writings very clear and easy to understand. Punctuations, spellings and grammar usage should be perfect without errors. 7. Write Each Event/Record on a separate page – To have a well written orderly dairy, it is best to write each event or record on a separate page. For example, if you have written an event or recorded something on page one, turn to the next page to record the next event. If you record two different events on a single page you might get confused with dates and it will not look orderly. 8. Create a schedule – This is important if you record repeated patterns of events like if you are a student and you have an academic dairy where you record event that happens every day in school. You can create a schedule to record events maybe every day, once or twice a week. It totally depends on you and the extent in which you record events or any other thing you write in the diary. 9. Keep your diary safe but easily assessable by you – After you have successfully written on your diary in an orderly manner, the next thing for you to do is to keep it in a safe place so it will not fall into the wrong hands. Make sure it is perfectly safe but easily assessable by you. Don’t keep it in a place you will find difficult to remember. You can keep it in the drawer close to your bed and lock it up with a key. This way it is very safe and easily assessable by you. These are the steps you need to follow in order to have a perfect and well-ordered written dairy. Your diary is part of you so make sure it is safe because it can cause you a great harm if it falls on the wrong hands because every private and important information you might have written on it can be used negatively by a wrong person. 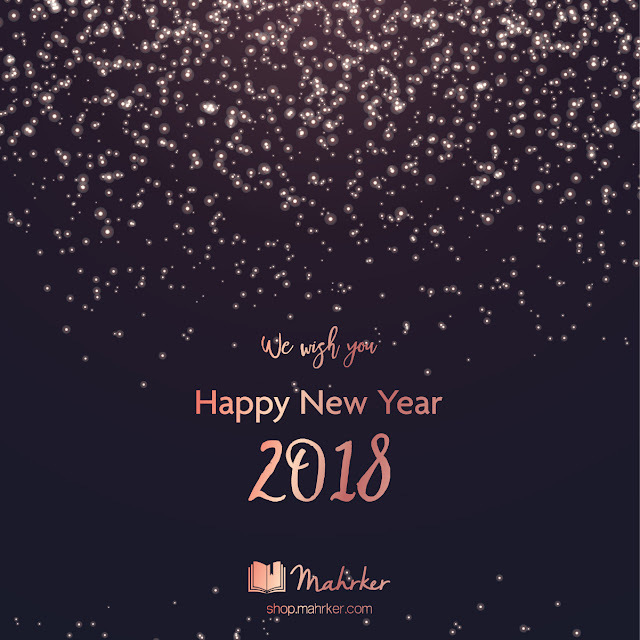 Browse Mahrker ultimate 2018 diaries and get ready for the new year ahead. Click and browse the collection now! We all have important things that we don’t want to forget. It may be a doctor’s appointment, the birthday of your favorite cousin, you may want to call your mum at a particular time or you have a very important job interview to attend in the next few weeks. There are so many things that people want to remember. Our brain can’t hold all these information so there is need to write them down in a diary either paper or digital diary. It is very important to write down important events either previous events or an upcoming event in a diary so as to keep records of them and remember them. There are two types of diaries, the paper diary, and the digital diary. These two different types of diaries have the same primary purpose which is to keep records but they have different functionalities and features. The paper diary is the first type of diary in existence. It has been in existence for decades and centuries. It is the traditional diary that is commonly used by most people. It has both advantages and disadvantages. We are going to have a look at the merits of using a paper diary as well as the demerits. • Easy to Use - The paper diary is easy for use for all people. There are many people mostly older ones that do not know how to navigate their way through the digital diary. They don’t know how to use it and this is really a big problem for them. The paper diary is very easy as you can easily write anything you want to write just with a pen. Simple without any hassle. • Control - Paper diary is great for any pattern of writing. You control how you write and decides on the pattern that is easy for you to remember. You can write in alphabetical order or by date. Any pattern that you think works better for you is ok! • No loss of Information - There is no occurrence of loss information or malfunction of app. 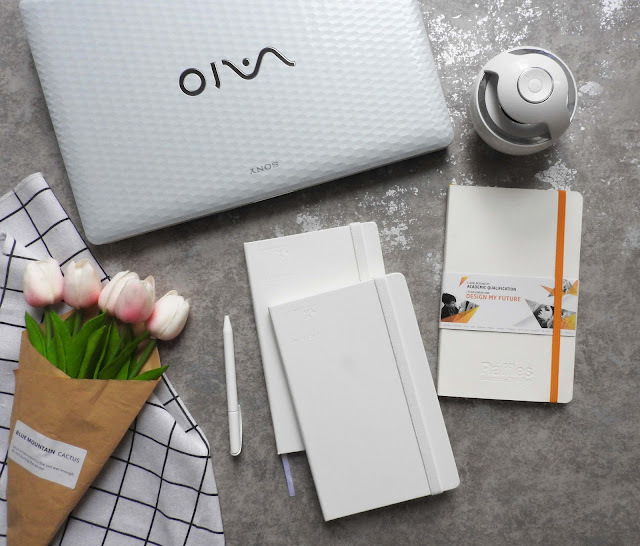 A digital diary could malfunction at any time but with paper diary, you are sure of your information at hand whenever and at any given time you need it. • No Annoying notifications - When you use a diary you don’t receive any notifications or beeps that could be annoying to you. Paper dairy does not make any noise, all you need to do is to open up your diary and read through. • It improves your writing and your brain - When you write in a paper dairy it improves the way you write and also stimulates your brain better than the digital diary. Modern phones and devices have word suggestions that when you’re typing you don’t have to know the correct spellings of words, you can just select from the suggested words. With the paper diary, you don’t have such functionality, you need to think about how to correctly spell any word. This is a great way to stimulate and improve your brain. • A paper diary could easily get missing. It is just a paper, so we don’t give too much importance to it like we do our phones or other devices. • It may not be adequately organized like to digital diary since you can write anyhow and any pattern we like. • It has lesser security measures as it might fall into the wrongs hands thereby leaking of your important and private information. • A paper diary could be easily torn apart which invariably lead to loss of valuable information. Digital diaries are new modern diaries. They are digital platforms or apps where we can write, store and share our personal information. It is an electronic organizer that you can use to keep information and also keep track of your day-to-day activities. There are many merits of using digital diary and some demerits too. • High level of Security – Digital diaries provides a high level of security. There are different security features or measures you can take such as using a password to secure your information from unauthorized individuals. By applying security measures to your digital diary you are sure that no unauthorized person will have access to your personal and private information. • Reminders – Digital diaries have notification and reminder functions that notify you of important events. Maybe you have a doctor’s appointment in a few weeks time and you want to make sure you remember, just use the reminder and notification function. This is an easy and effective way to remember important events at any particular time. • Easy Sharing – Maybe there is any information you want to share with your co-worker, friends or family members, digital diaries enables you to easily share information between other people who are linked with your diary. You only need to sync your diary with theirs and you can share information with them at any time with ease. • Quick and Easy Editing – The digital diary makes it easy for you to edit your information. If you make any mistake and wants to change it, you can simply edit what you wrote. • Safe and Secure Storage – By using digital diary you can store your information easily on the cloud. Even if you lose any information on your device, you can still retrieve them from your cloud storage. • Difficult to Use – Not everyone knows how to operate a digital diary. Most older people don’t know how to operate a digital diary. They find it difficult to navigate all the steps. • Online Privacy – Since your diary is online, your information may be at the mercies of hackers. 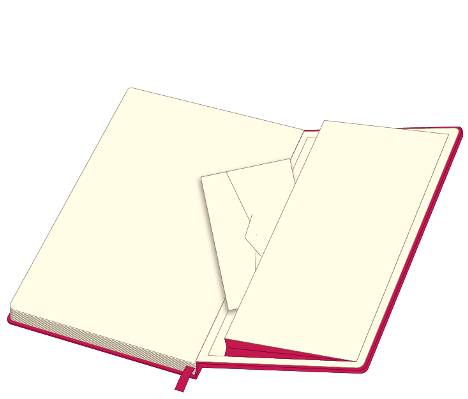 Paper diary is good to keep short-term information because it may tear apart with time or easily get missing. Digital diaries are more advanced, it is always with you as it is installed on your phone which you use every day. Digital diaries are safer, more secure, has reminders and cloud storage features. If you want to keep information for long-term go for digital diary. 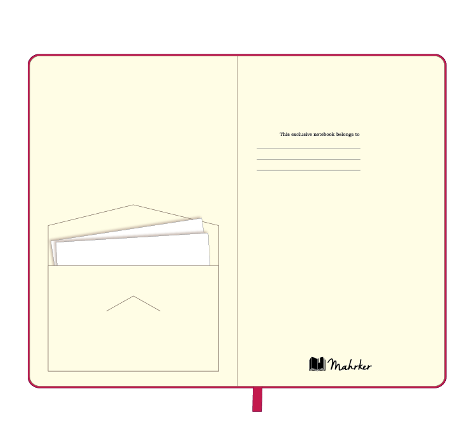 Mahrker - Premium Hard Cover Writing Journal Notebooks, Diaries, Sketchbooks and Sticky Notes. Hardcover or Softcover Journals / Notebooks - Which one you prefer?